Sports bettors may well be interested in the same pursuit, but crucially they are not all made the same way. 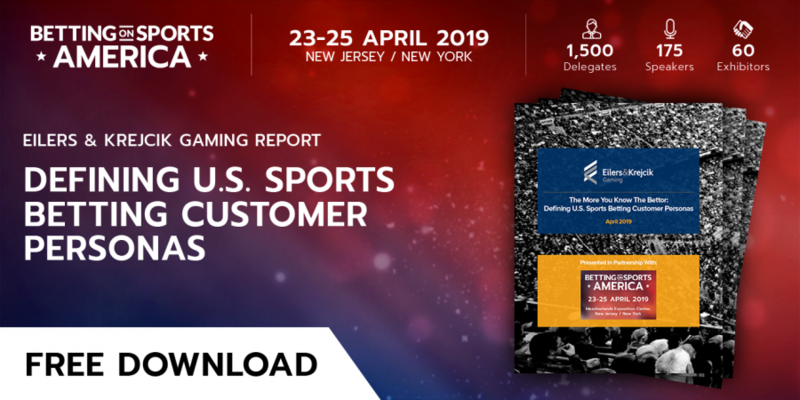 Expounding that theory is a new body of work compiled by esteemed betting industry analysts Eilers & Krejcik Gaming in association with the inaugural Betting on Sports America conference. The research, titled ‘The More You Know The Bettor: Defining US Sports Betting Customer Personas’, offers a fascinating insight into the personalities and traits of several betting profiles including sharps, high rollers, would-be professionals, action chasers, superfans, status seekers and casual dabblers. In terms of timing, the emergence of the study ticks two vital boxes. Firstly it comes ahead of Betting on Sports America, hotly tipped to be the biggest and best sports betting conference in the US. Secondly, and of equal importance, is its launch during a time of significant adjustment in the US gambling landscape, particularly as operators are learning to find their way within a rapidly evolving new business. One of the key findings in the report instantly strikes a common theme, that of sharps – a bettor profile that some operators are increasingly turning their backs on in a bid to protect margins. Against the grain of such thinking, Eilers & Krejcik advises that sharps shouldn’t be summarily dismissed from a sportsbook’s client profile. “Sharps are players who hold a persistent edge over sportsbooks,” described the analyst. “Sharps are primarily motivated by making a profit from sports betting. They generally bet at moderate to high stakes with moderate to high frequency. Sharps have incredibly high investment in terms of time, development of systems and resources, and sourcing relevant information. But look deeper, says the report, and they actually represent an opportunity. Sharps may seem a slightly odd target for sportsbooks, as they are by and large winning players,” it noted. “But sharps may be worth courting despite that fact. Sharps bring ancillary benefits such as helping books set better lines and allowing books to offset risk. Summarizing the importance of a more intimate knowledge base regarding customer types, Eilers & Krejcik said: “We estimate that regulated sports betting in the US will draw some 30 million new customers to the activity over the next decade (compared to an active user base of roughly 15 million in the current market). To view the study click here.